If you’re heading out to the 2014 installment of the Rock on the Range festival in Columbus, Ohio you’re now able to start mapping out your weekend. That’s because the daily lineups for the three-day music weekend have been revealed. 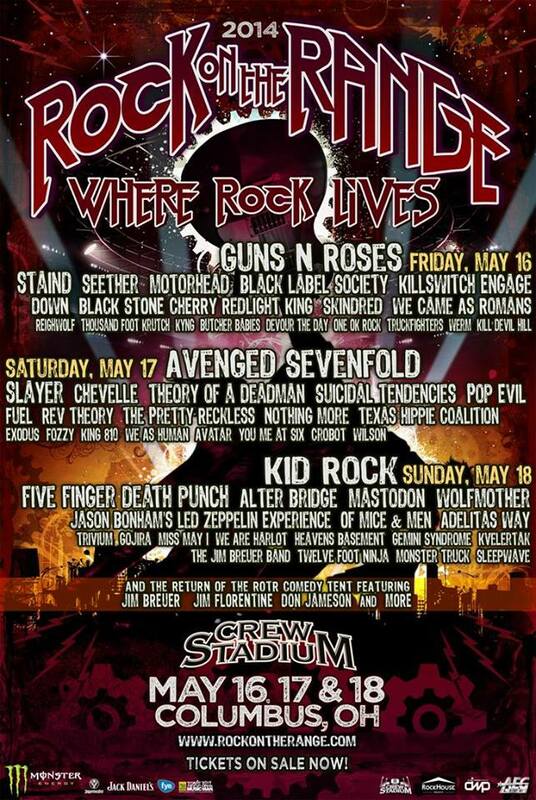 There will be two headliners each night with Guns N’ Roses and Staind closing out the Friday (May 16) bill, Avenged Sevenfold and Slayer finishing up Saturday (May 17) and Kid Rock and Five Finger Death Punch completing the festival on Sunday (May 18). The festival will also see the likes of Seether, Motohead, Killswitch Engage, Chevelle, Pop Evil, Wolfmother and many, many more taking the stage over that weekend. 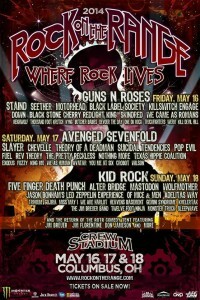 We’ve covered Rock on the Range every year since 2008 and we look forward to covering it for you guys this year too! 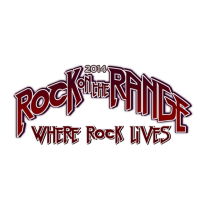 Tickets for the eighth annual Rock on the Range Festival are currently on sale at this location. The earlier you purchase the passes, the lower the price.